Give inventor Dean Kamen this: he's a master of buzz. A closely guarded secret that was supposed to change the world upon its release in 2001, the Segway never brought about its promised revolution in transportation. Though the technology is pretty cool  very expensive gyroscopes make the thing nearly impossible to tip over (though George W. Bush found a way)  the Segway's sales far underperformed vs. Kamen's predictions. 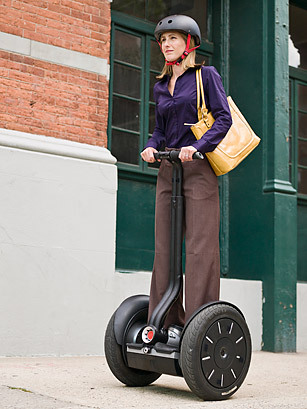 It lives on as the vehicle of choice for mall cops and lazy tourists, but the Segway's best contribution might be as the vehicle of choice for failed magician Gob Bluth in Arrested Development.